THE BIGGEST POWDER COATING LINE IN THE REGION!! Our services range from preparing surfaces to powder coating of elements made of black or galvanized steel, or aluminium. 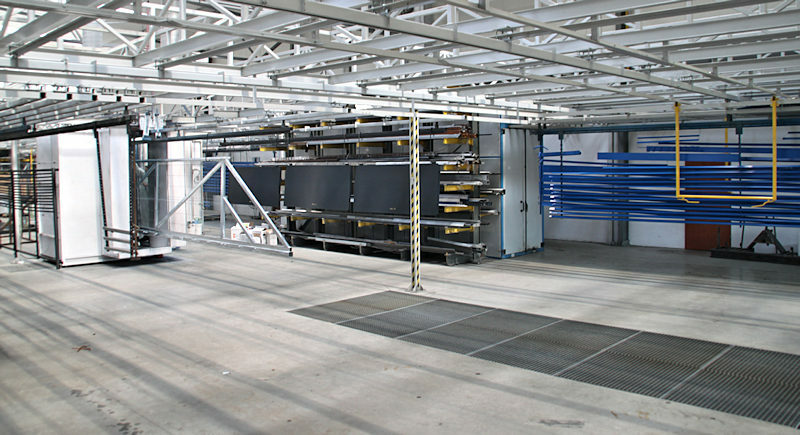 All the coating devices together with the devices for preparing the surfaces are placed in a newly built hall. Coating profiles, steel or aluminium doors, railings, balustrades, fences, rims, metal sheets, external window sills, supporting structures and others. POSSIBILITY OF LARGE-SIZE ELEMENT COATING. Before the coating, small details undergo some extra chemical treatment processes to achieve more adhesive surfaces for painting. 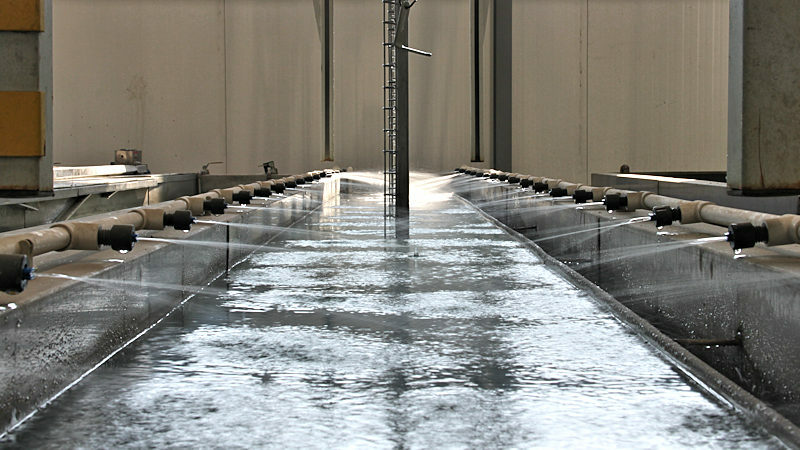 These include degreasing, rinsing and polymer passivation. These processes are run by immersing the elements in device tanks with the use of special crossheads and a transport manipulator. Sputtering with paint using the electrostatic method takes place in two powder chambers. Elements coated with paint are transported to another work chamber inside the furnace, where the coating gets melted and then, finally, hardened. The ready-made product is then secured for transport. The technological layout enables working with profiles or metal sheets in accordance with the highest anti-corrosion protection standard QUALICOAT. Thanks to that we can guarantee the highest quality, aesthetic presentation and long-lasting durability of the coating. – with different surface finishes : smooth, antique, hammer, fine or coarse structure. We coat only with paints made by renowned producers, offer the full range of colours and full range of surface finishes. We offer all the RAL pallet colours, Tiger structural paints, Troops Coatings, ST Powder Coatings, IBA.